Remon of Randolph is a quadriplegic who requires around-the-clock care from personal care attendants. The attendants make it possible for Remon to live as normal a life as possible. In June 2011, that’s exactly what happened. MassHealth stopped paying Remon for his personal care attendants because his doctor hadn’t returned the necessary form by the deadline. Remon didn’t know there was a problem until the checks stopped coming. Fortunately, he was able to get reapproved and start the payments again with the help of Boston Center For Independent Living (BCIL). But the lapse in payments left him owing his attendants $4,000. MassHealth claimed they were not responsible and would not pay, even after Remon filed an appeal. Through the entire ordeal, Remon’s attendants continued to help him rather than leaving him without care. Left with no alternative, Remon vowed to pay them the $4,000 in back wages out of his own pocket. On his very limited income, this would have taken him more than six years. Fortunately, BCIL referred Remon to Greater Boston Legal Services (GBLS). After unsuccessfully attempting to convince MassHealth to cover the expenses, a GBLS attorney sued on Remon’s behalf. The agency then agreed to pay the full $4,000 it owed. Now Remon can continue to receive the high level of care he needs, free from worry. 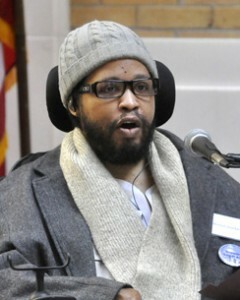 In January 2012, Remon shared his story with hundreds of attorneys who gathered at the Massachusetts State House for Walk to the Hill for Civil Legal Aid, a lobby day organized by the Equal Justice Coalition to increase state funding for GBLS and other legal aid organizations in Massachusetts.